Well, the effects of staying up too late for the election coverage are certainly telling this morning. Frankly, I was bored just after those ridiculous pigs had a race on the Channel 4 alternative coverage. David “Ham”eron – re ally?? 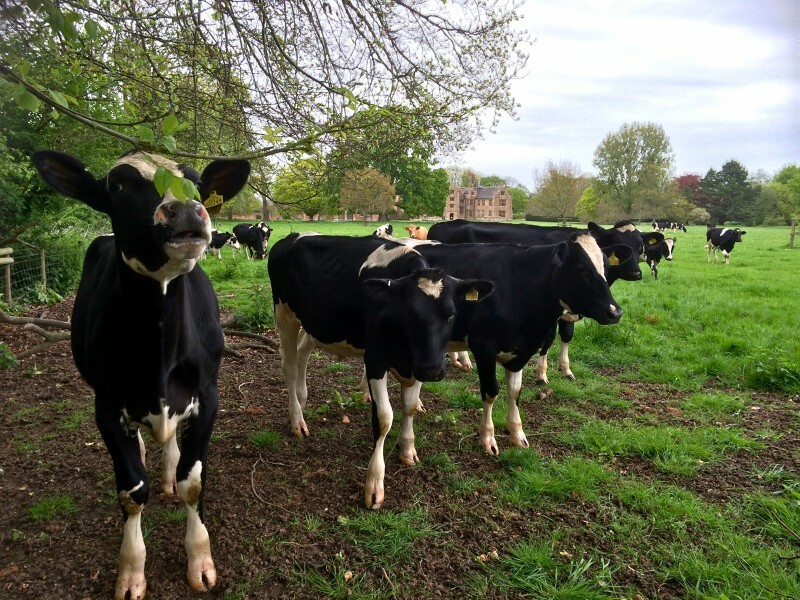 So far this morning she, has got us into another scrape with cows chasing us, taken me through a muddy bog up to my armpits and got lost at Barrington Court. Finally, we have returned to the comfort of my studio futon. 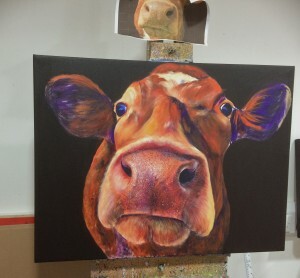 She is busy drinking coffee and making a banner for “Taunton Live” in July, as well as painting another picture of – you guessed it – a cow (yawn). 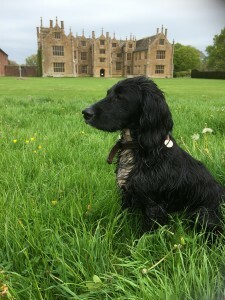 I did feel rather at home at Barrington Court – maybe next time I’ll see if there are any vacancies for a guard dog….